Skin care basics include eating the right foods, drinking plenty of water, exercising, getting enough sleep, protecting your skin from the sun, not smoking, and limiting your intake of both caffeine and alcohol. This will help greatly with the overall appearance of your skin. One beauty secret that no one should skip out on is moisturizer. This goes for men and women. Moisturizer is the true foundation of youth. Moisturizers form a barrier between the skin and the environment that holds water in the epidermis. They hydrate and plump up the skin so that it looks smooth and bright. The right moisturizer will enhance the look, feel, and health of the skin and can even help temporarily eliminate fine lines and wrinkles. Moisturizers can also protect the skin from pollution, debris, and weather. The right skin care products help makeup go on smoothly, properly, adhere to the skin and last longer. Fancygirlfaces moisturizer is all natural. Ingredients include Vitamin E which is an antioxidant that helps build and maintain healthy skin tissue. Vitamin C which is a building block of collagen, the protein that gives skin it's structure, tone, and elasticity. 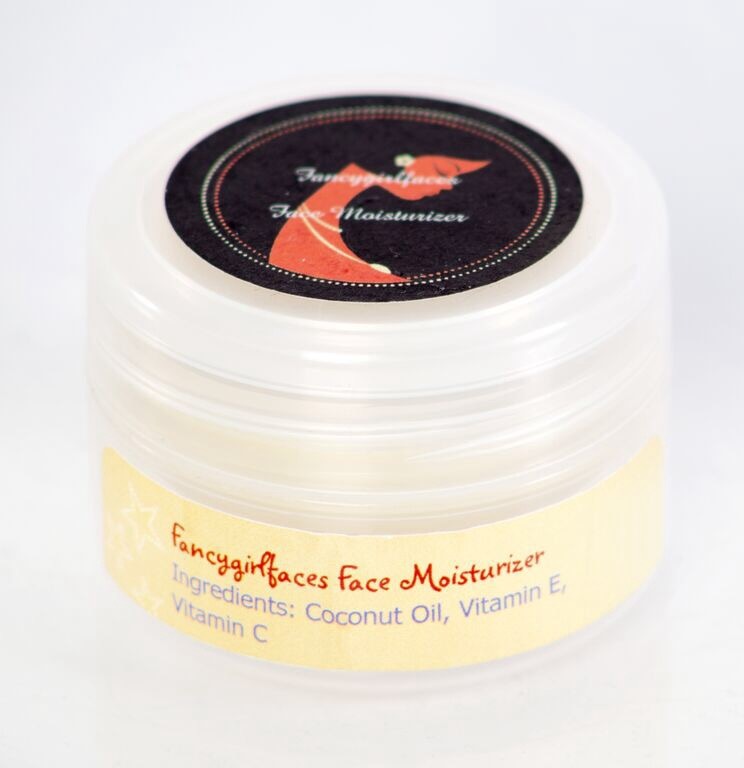 Also Coconut Oil which allows this moisturizer to be used on ALL skin types. It's helps delay the appearance of wrinkles and sagging of skin which normally accompany aging. Coconut oil also helps in treating various skin problems including psoriasis, dermatitis, eczema, and other skin infections. How to use: Hands must be clean. Once the face is thoroughly cleansed and toned and while it is still slightly damp apply Fancygirlfaces moisturizer using your fingers. Use about a dime sized amount of moisturizer. Warm the moisturizer between your palms. With firm, upward strokes, gently press the product into the skin until it is completely absorbed. NO MATTER YOUR SKIN TONE ALWAYS USE SUNSCREEN. Fancygirlfaces lip scrub's purpose is to remove all dead skin off the lips showing smooth and moisturized lips. This is NOT a lip gloss or lip balm. This product is to be used before you apply other products. Men can use this product too. This is an all natural product with ingredients like Vitamin E. Like eyes, lips are also important. It's an attractive feature of our face. The overall look of your lips can add to your appearance. This is why we need to take special care of our lips. There is nothing available on the market that can hide your dry or lifeless lips. Lip gloss, lipstick, or lip liners look good only when applied on healthy looking lips. Just like we take special care of our face, feet, or hands, we need to focus on our lips too. How to use: use clean finger or a makeup spatula and place product all over the lips. Use finger to rub product in circular motion for 10 seconds on the lips. Use a damp cloth to remove product. Your lips will be free of dead skin and moisturized. Your lips are ready for any product you choose to put on them. MAKE SURE YOUR AFTER PRODUCT CONTAINS A SUNSCREEN. Dry chapped lips, constantly pulling and peeling your lips? Well relief is here with Fancygirlfaces lip balm with SPF 15. Mint flavored. This balm is great for all year round weather to keep lips from cracking and going through harsh treatment. Purchase today? Face Toner: Balances the natural pH of the skin, clears away excess oil. Ingredients are malic acid, calcium, and enzymes. Great for all skin types. Safe and gentle. 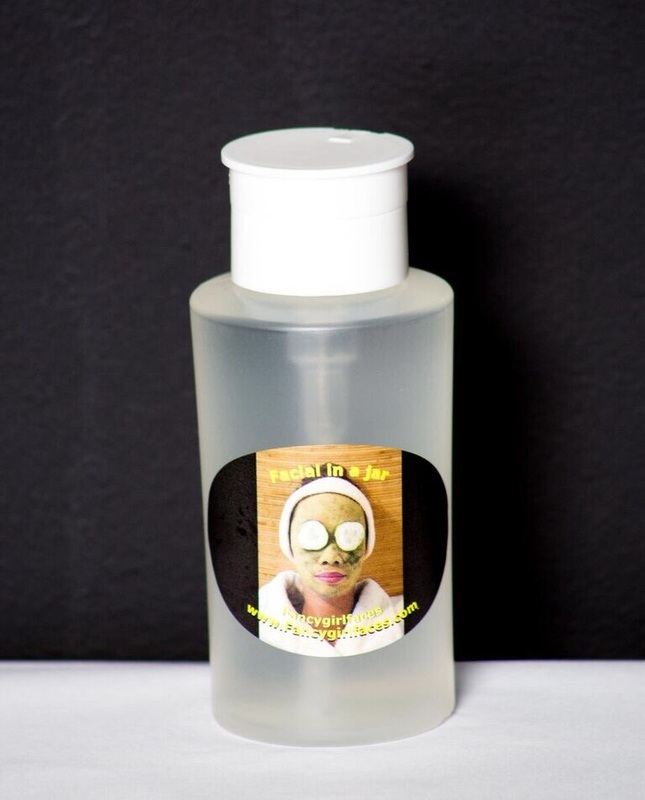 ​Olive Oil Cleanser : This cleanser is tailored to those of us that suffer with dry skin. This skin type normally comes from lack of moisture in the skin. 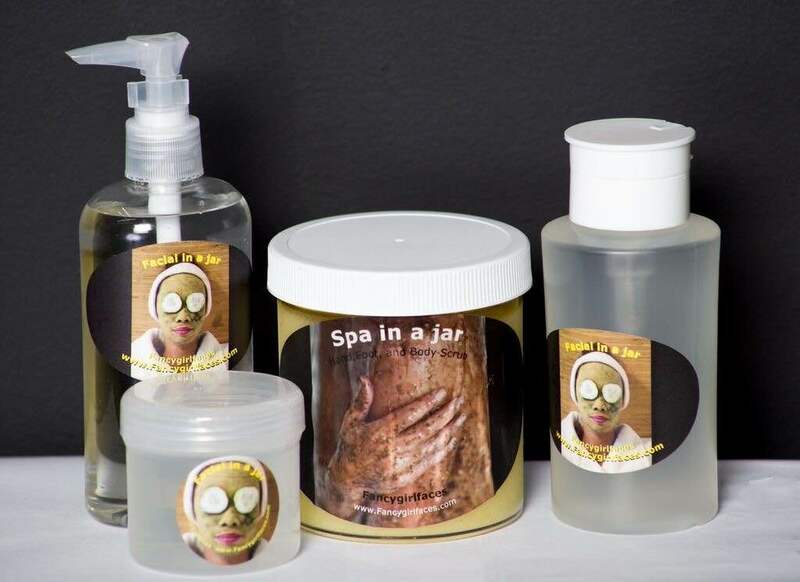 Lemon & Honey Face Scrub: Removes dead skin, brightens skin tone, helps remove dark spots, tightens and cleans pores. Contains age prevention properties, good for acne and reducing breakouts. Coffee Mask: Helps give life to double skin good for all skin types caffeine is good for its tightening affects caffeine promote circulation and decrease inflammation that results in dark circles and under eye bags. 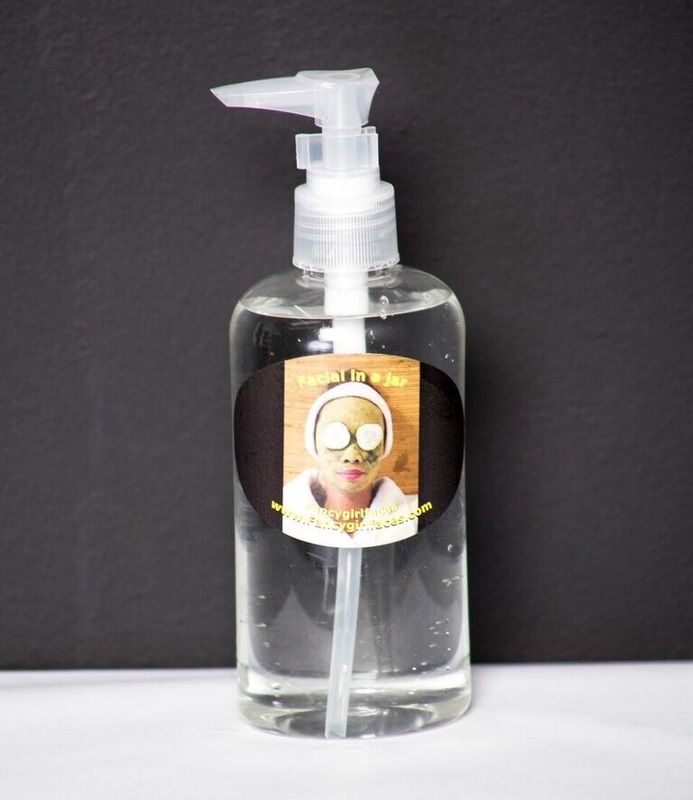 Face Cleanser for Sensitive Skin: This cleanser is great for those with sensitive skin. 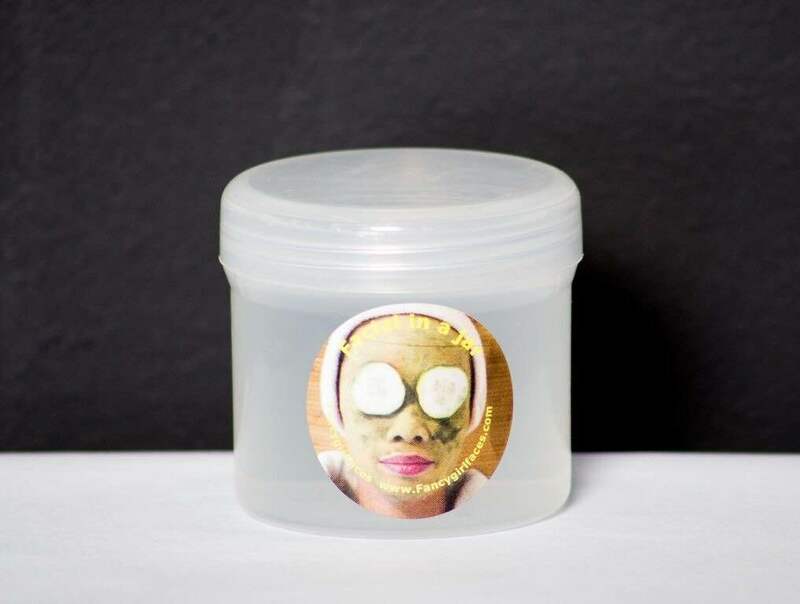 This is a gentle product that will still clean the face and pores removing dirt and dead skin without the harshness of unknown chemicals that can cause an allergic reaction. Ingredients are honey which has healing properties and nourishes the skin. Organic extra virgin coconut oil, and essential oils.